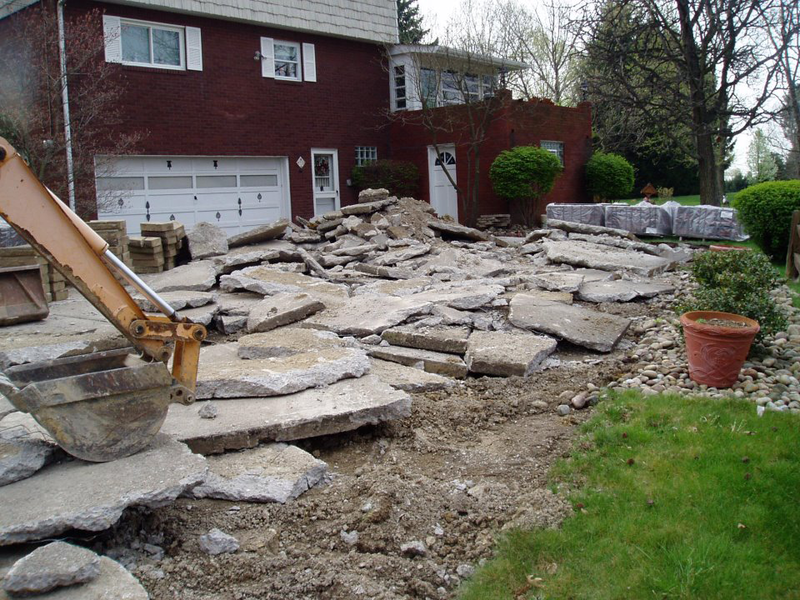 This driveway was old concrete that was cracking and lifting. 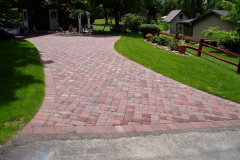 Remove concrete driveway and replace with Omni-stone in a mosaic design. 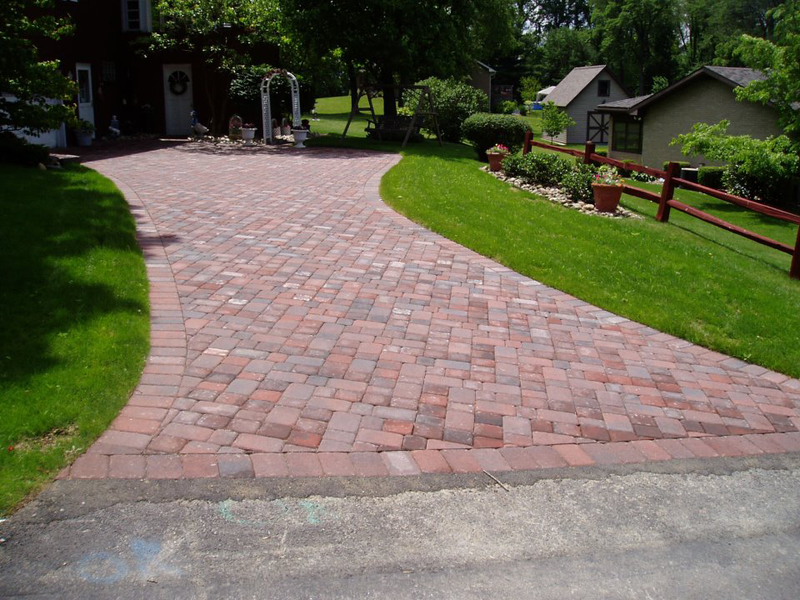 Using RED stones to complete the driveway, ties it in better with the house and adds to the curb appeal of the backyard. Copyright © 2018 Bush Landscaping. All Rights Reserved. 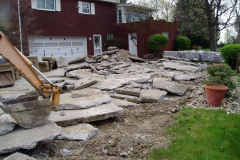 These cannot be removed or used without the expressed permission of the owner.